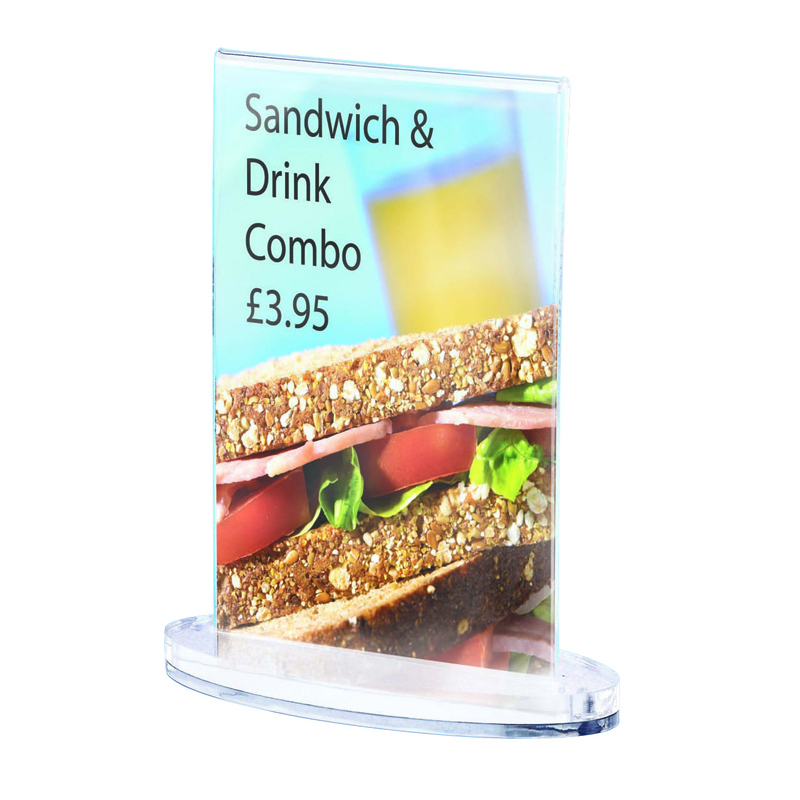 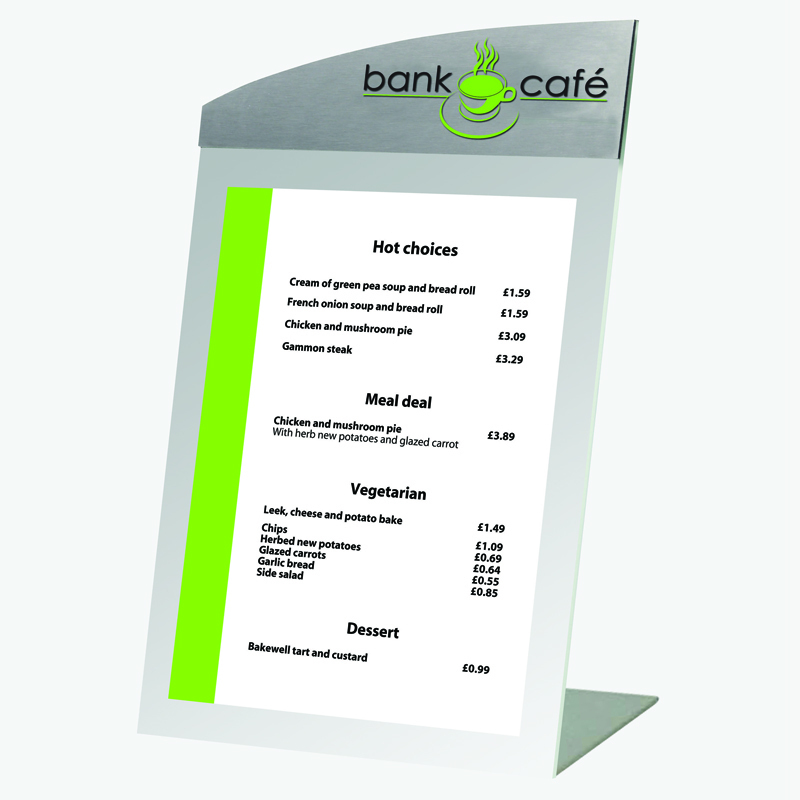 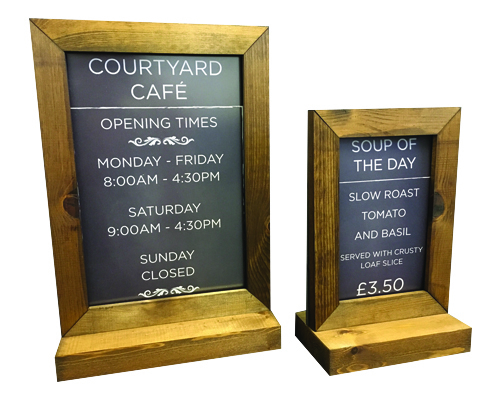 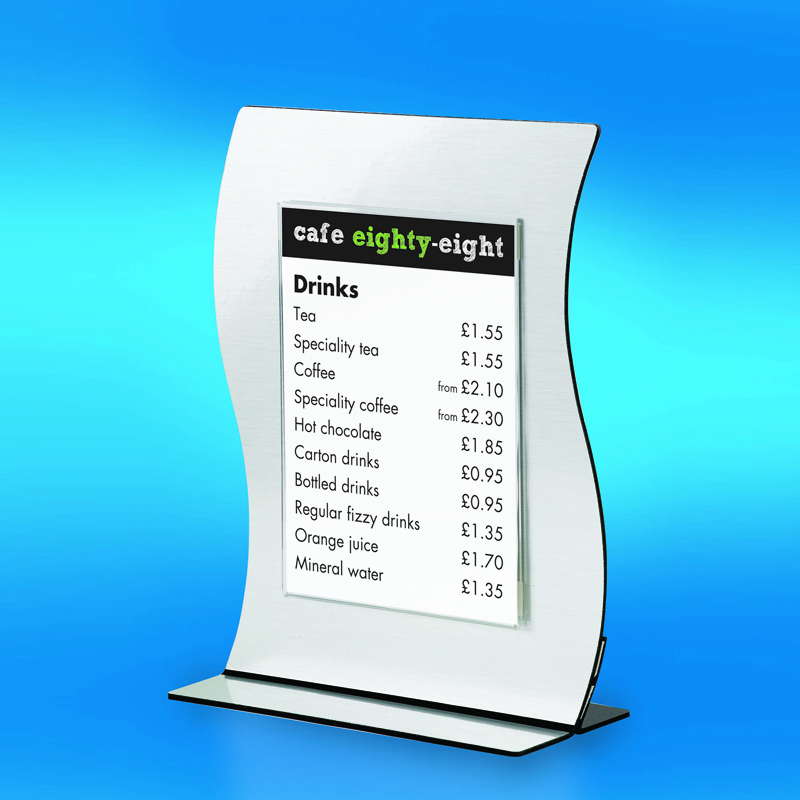 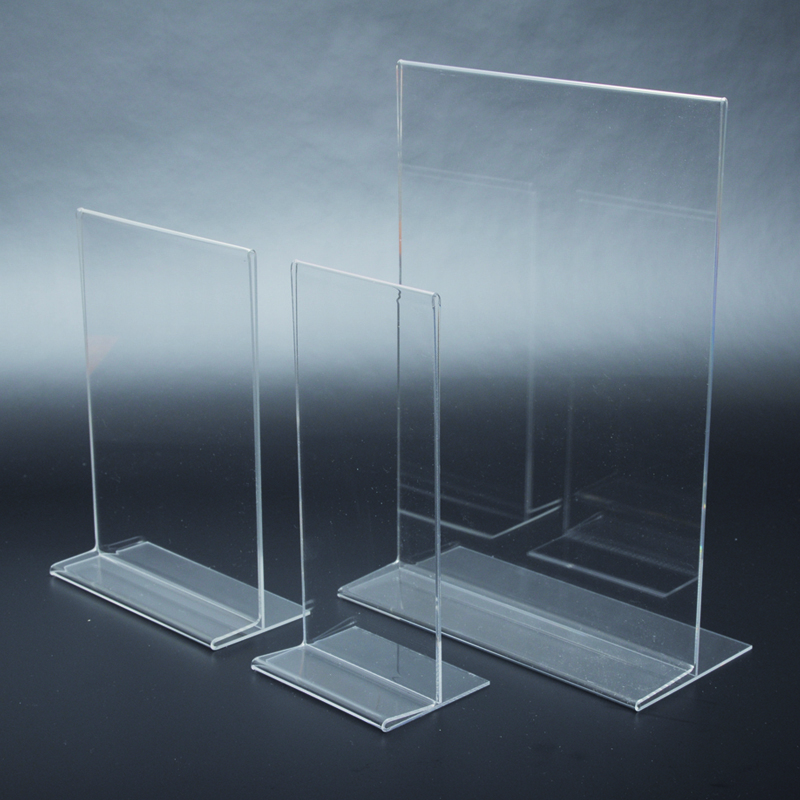 Robust and durable, Our chunky acrylic presenter is bonded to a 10mm base. 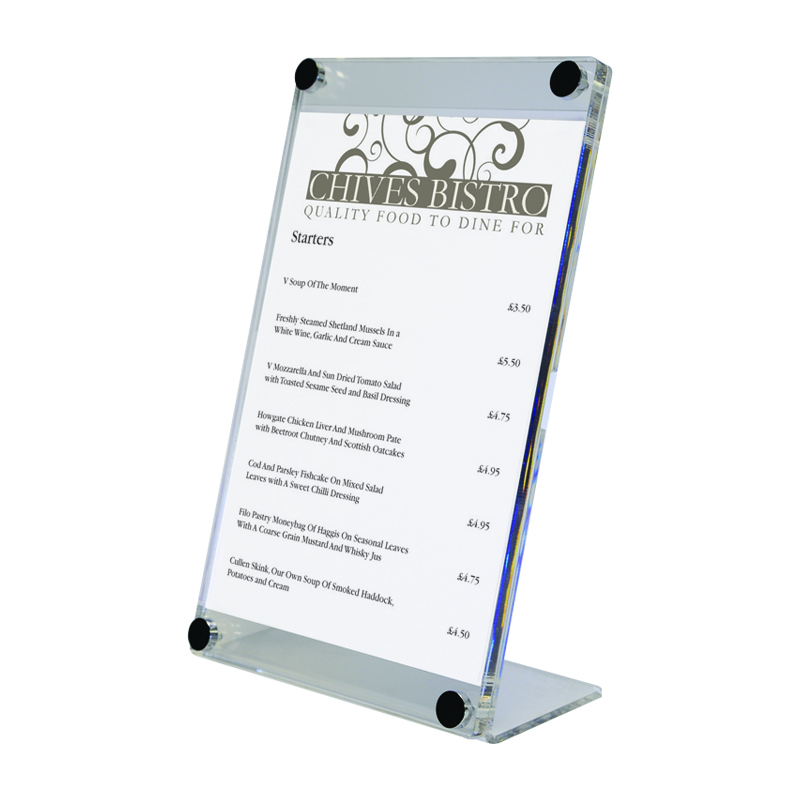 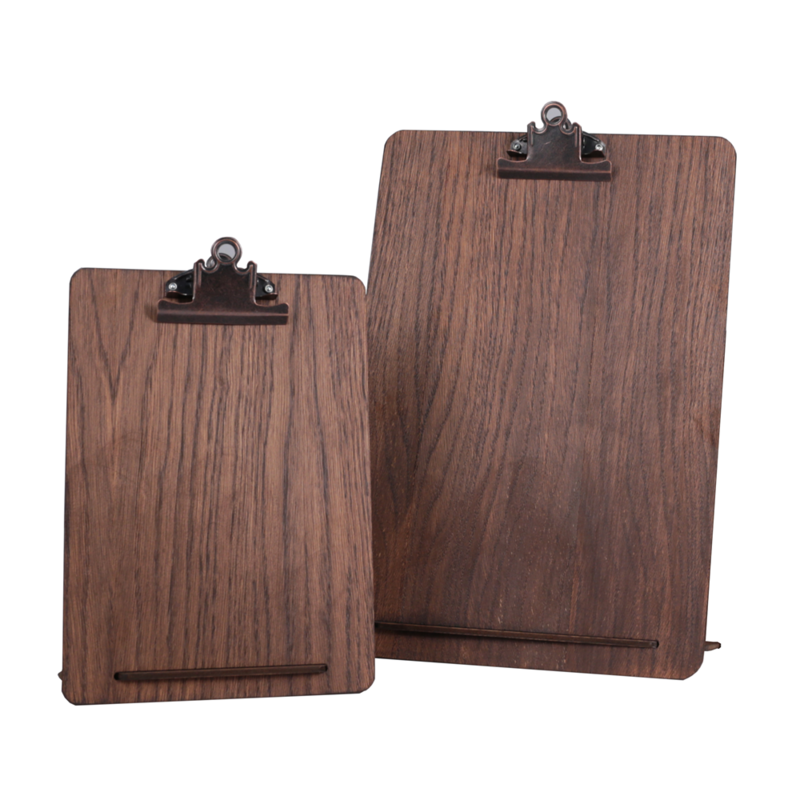 This item comes in portrait presentation and is double sided which makes it perfect for tabletop presentation. 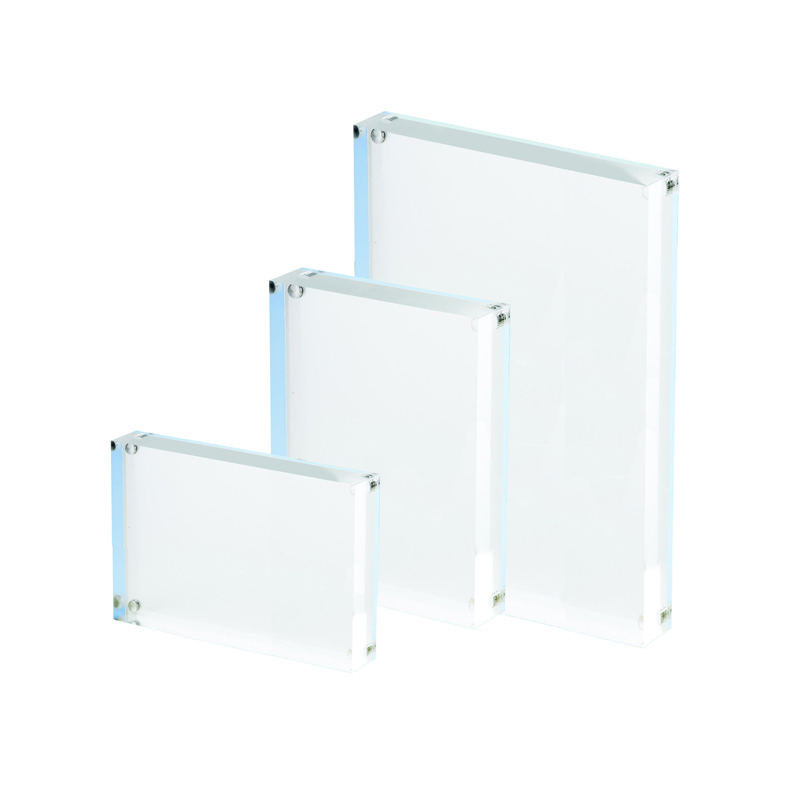 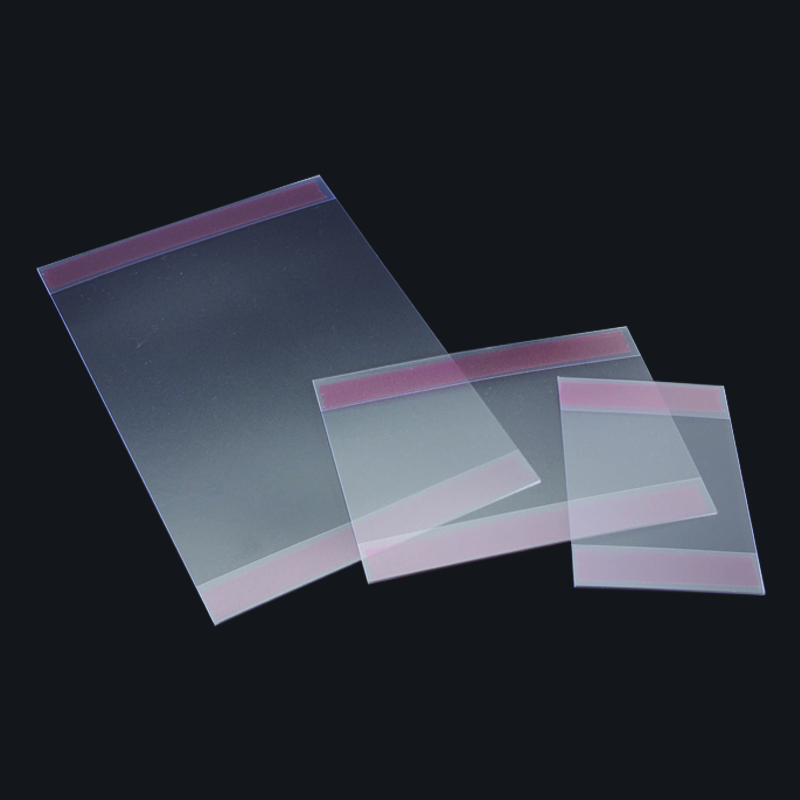 This two part clear acrylic block features powerful magnetic fixings that sandwich your paper between 5mm & 20mm panels. 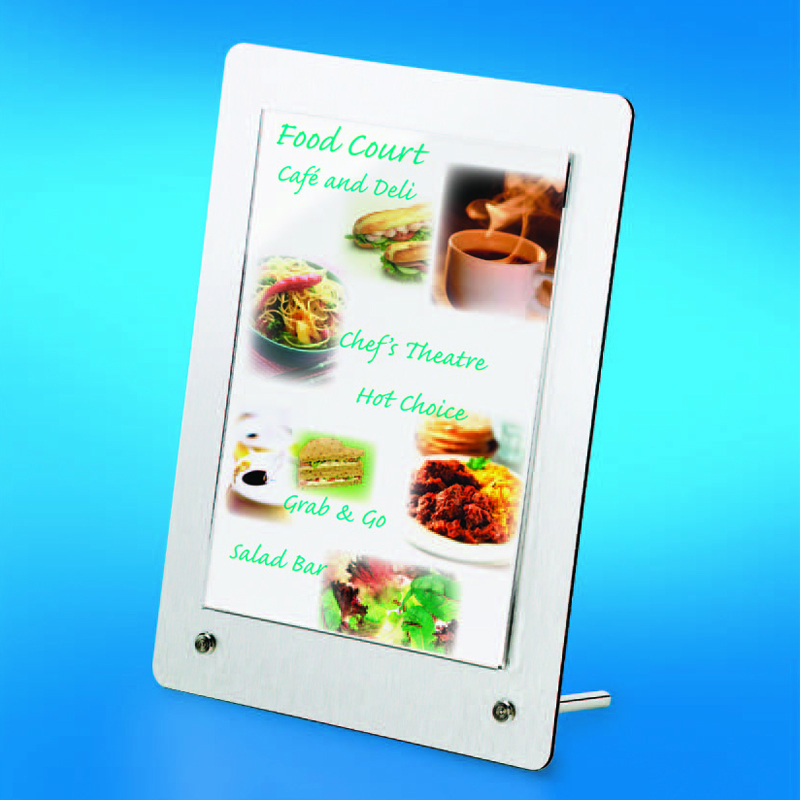 They can be used to display in either portrait or landscape and come in sizes A6, A5 and A4. 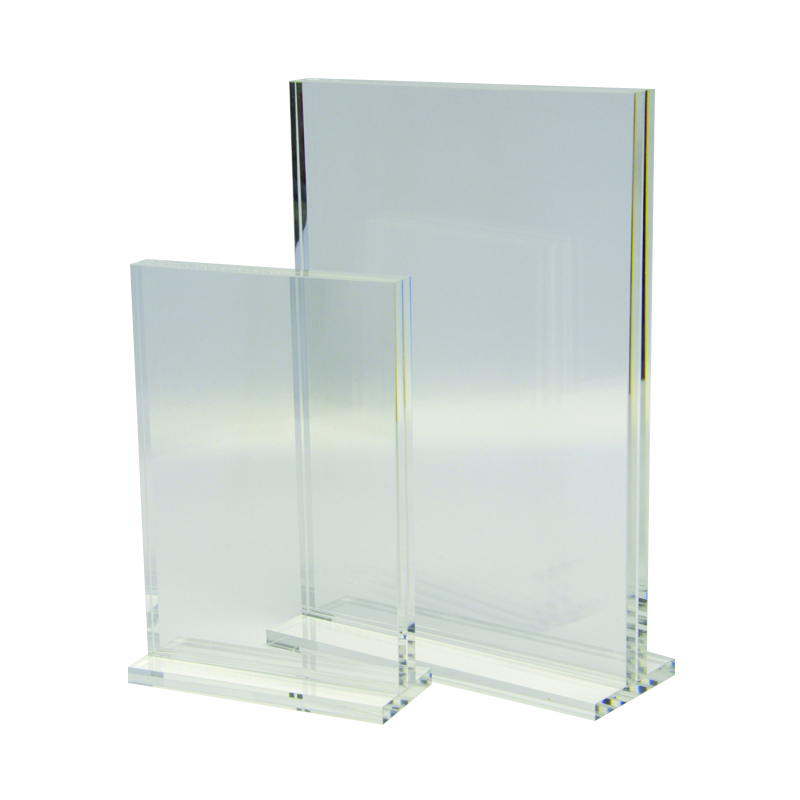 Chunky 10mm acrylic face fixed to 5mm angled back & spaced apart with chrome fixings for easy loading from the side. 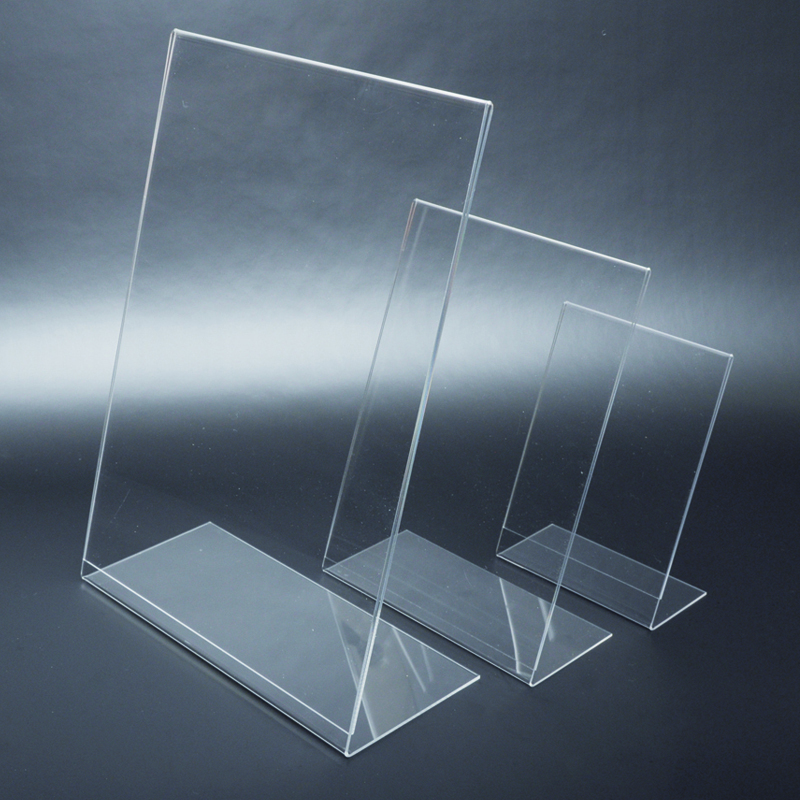 Acrylic table card holder with oval silver sparkle base and clear display pocket.